One night after work this past summer when I was feeling overheated, cranky and tired, I needed to run an errand. I needed to purchase shampoo. Even though I have downsized my life radically since suffering a 20% pay cut in January 2009, which remains fully in effect almost two years later, I will know I have completely bottomed out when I can no longer afford my favorite brands of toothpaste (Tom’s) and shampoo (Kiehl’s). Initially, when my pay was slashed, I did try cheaper brands. In both cases, my body violently rebelled. The cheap toothpaste tasted terrible and coated my teeth with a film that nearly made me vomit. The inferior shampoo gave me the impression that I was developing scales on my scalp. Immediately, I returned to using Tom’s and Kiehl’s. On this humid summer evening, I enter my neighborhood Kiehl’s store to purchase a bottle of Protein Concentrate shampoo, a wonderful herbal product I have been using loyally for many years. When I last tried to purchase it a few months earlier, it was out of stock. Since I was almost out of shampoo, I sniffed every tester and settled for the one with the most innocuous scent, Tea Tree Oil. On this summer evening, it is still out of stock, and so I seethe. If I am going to purchase a luxury product shampoo, I want to at least get the one I like most. I again snag the Tea Tree Oil variety and head to the register, where I encounter a cheerful cashier who makes some friendly banter that sets me off like an atomic bomb. Me: Where’s the Protein Concentrate shampoo? Cheerful Cashier: We’re out of it. I’m so sorry. This Tea Tree Oil is very good. Me (exaggerating like The Customer from Hell): I hate it! Cheerful Cashier (stepping on a landmine): Why don’t you try the Amino Acid? Me (channeling my inner Ted Kaczynski): Because I don’t like smelling like a Pina Colada! A few months later, after Nadal defeats Djokovic in the men’s US Open tennis final, I am running low on my free bottle of Tea Tree Oil shampoo. 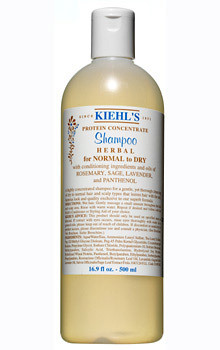 I check the Kiehl’s web site to see if the Protein Concentrate shampoo is available on line. It is, but it’s out of stock. Just as I am accepting this as a sign that the product is being phased out, I learn that my shampoo is displayed prominently on the Twitter site wallpaper of the company’s president. This gives me renewed hope. I visit my neighborhood Kiehl’s store again, but alas, my shampoo is nowhere to be found on the shelf, but again, the manager is behind the counter. She is reading a document and declares that she has good news for me. My shampoo is not on the discontinued products list. Me (barking): Then, why isn’t it on the shelf? Manager (insisting): It doesn’t appear to be discontinued yet. Me (snarky): It shouldn’t be. You know, it’s prominently displayed on Mr. Big’s Twitter page. See for yourself. Best shampoo ever circled in red. She gives me her card, takes down my number, and says she will investigate the matter further. I urge her to do so quickly, “I’m running low on shampoo.” I look at her card. Symbolically, her name is Pains. If I were completely paranoid I would assume she has two business cards, one where she calls herself something like Dolores, and another for migraine-inducing customers like me. I do not hear from her, so I send her an email asking about the status of my shampoo. She does not respond. A week later, I am walking up Columbus Avenue with my friend, Lola, en route to dinner. As we are walking past Kiehl’s I notice Pains inside the store. We enter Kiehl’s. Pains recognizes me. Me (cutting to the chase): You don’t have the capacity to answer customer email? What’s the story with my shampoo? Pains, I need shampoo! Pains (defensive): We’re still out of it! I groan thunderously and grab a bottle of the Tea Tree Oil variety and return to the register with a deranged look in my eye. I slam the shampoo bottle on the counter with force … or maybe it was more like an anemic tap. Pains (sympathetic): Why not try the Amino Acid? Then, Pains recalls how much the Amino Acid sets me off. On cue, I am so angry; I suffer a full body spasm. Pains looks at me in alarm. Lola (reassuringly): Ignore her. She just got fitted for a new strait jacket. Pains: I have allergies. They’re out of control. Me: You should try eating local honey. Honey acts as an immune booster. Pains (finally losing it): I live in Queens! Me: This is New York. We have everything out here. Lola: You have an effect on people. Me: Do you think my riding her back is going to cost me in karma? Do you think something terrible will happen like the Yankees won’t reach the World Series? Lola: You better find her a bottle of Queens honey fast. Although the beekeeping ban was lifted in New York City this year, finding a beekeeper in Queens is not as simple as determining how to attain world peace. For the two weeks it takes me to find this source, the Yankees plow through the Minnesota Twins during the first round of the divisional playoffs, but they struggle against the Texas Rangers. 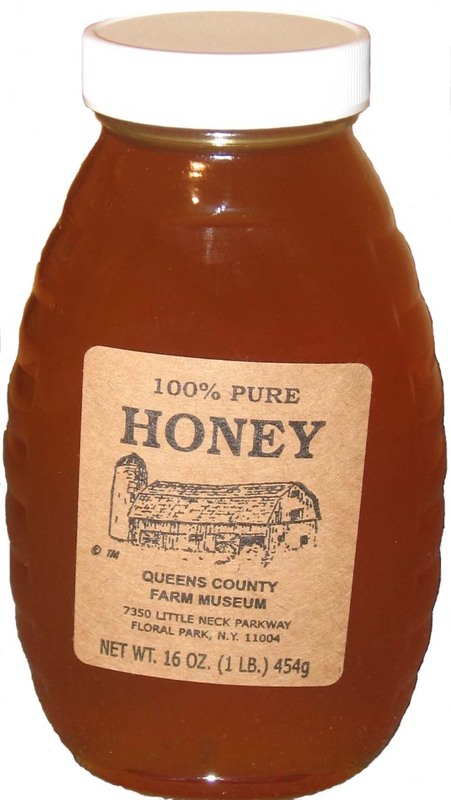 With the Yankees down three games to two in the ALCS, and make or break game 6 occurring that night, I score a bottle of Queens-based honey harvested by the Queens County Farm Museum. In Floral Park there’s an anomaly, the Colonial Farmhouse Restoration Society, a non-profit corporation owned by the NYC Parks Department. This farm also happens to house their own hives. When I call them I ask in a tone reeking of cramps, “Do I have to go to Floral Park for a single jar of your honey?” I imagine if I do, with my limited sense of direction, I could end up in Delaware. They bring a jar of it to their stand in the Union Square greenmarket. Real deal fall harvest Queens honey. Greeter: Do you mean Dolores? Ah ha! I knew she had two business cards! Me: Whoever’s the manager; that person. Pains (speaking in fluent eyeball): Don’t go far and call security. Also, whoever removed that copy of People from the bathroom, put it back. I extend the jar of Queens honey. Me (demure): This isn’t a regift. It’s Queens-based honey I got just for you. Pains looks suspicious, but when she realizes there is not a lit fuse, she graciously accepts my peace offering. Me: I’m doing it more for the Yankees. Me: How are your allergies? Me: I’m sorry to hear that. Maybe eating this honey will help. Not that I believe that for a nano-second. This woman’s seasonal allergies are so severe, she needs to visit Lourdes. Pains: I’m afraid I have some bad news for you. It’s about the Protein Concentrate shampoo. Pains draws a cut line across her throat. Cue the music from Psycho. I could not control myself. I blow a gasket, and deliver a ten-minute soliloquy about every disappointment in my life starting with discovering that Santa Claus is a sham through the ascent of the Tea Party. This entry was posted in Humor and tagged borough of queens, honey, kiehl's, new york city, yankees. Bookmark the permalink. Thanks for blowing it for the Yankeess – just for that I am sending you a case of Prell!!!!!! Great story. I love tragedy.